With the discontent between Chelsea and Italian style tactician, Antonio Conte becoming more evident by each passing transfer window, reports have emerged that the manager could be let go by the Premier League champions at the end of the season as relations between the club and manager have reached a point of no return. Despite winning the league last season with a record number of wins in the English top flight, Antonio Conte has not been impressed with the club’s approach to the transfer window as they have been left somewhat behind in the division by Manchester United and Manchester City who have strengthened their first team with quality players. While he has spent over £300m in two years in West London, Conte has never quite gotten the power he craves over transfer targets as the club employs a rigid bureaucratic model when it comes to signing players. A number of managers have been touted as replacements for the 48 year old Italian, who is quite loved by the Chelsea fans. Names such as Diego Simeone, Carlo Ancelotti, Max Allegri and! Luis Enrique have been mentioned but Enrique seems like the perfect fit for the way Chelsea owner, Roman Abramovich wants his team to play: attack with the ball without showing signs of playing pragmatic football. Few would forget what Enrique did in charge of Barcelona in recent past. While Conte has been brilliant in charge of the Stamford Bridge outfit, he doesn’t have Champions League prestige and his propensity to falter in cup competitions means he is still not rated as the likes of Pep Guardiola and Jose Mourinho, managers who win trophies as if they are going out of fashion. Despite a rocky start to his managerial career, Enrique has seen his stock rise while handling Barcelona, as he helped the club shift from the possession-obsessed football they played under Guardiola and Vilanova. While tiki-taka had worked for them, other teams were catching up on the Catalan outfits style, as evidenced by Bayern humbling them 7-0 on aggregate in 2013 with the German outfit playing some of the most devastating counter attacks and man marking games ever seen in European football. He won the Treble in his first season at Camp Nou, and struggled to live up to that brilliant first campaign, but his impact in Spanish football can’t be underestimated. He left Barcelona after last season and is on a sabbatical, recharging his batteries for a new appointment in the coaching world. His playing philosophy which inculcates a number of diverse playing styles to suit the opponent shows he is tactically suave and is not rigid like Conte. Ancelotti is not reportedly interested in the Chelsea job after his chastening experience in charge of The Blues from 2009-2011. Allegri looks settled in Italy with Juventus while Diego Simeone doesn’t seem quite ready for the Premier League for and fits the mould with Conte as passionate managers who wear their hearts on their sleeves. Enrique would offer something close to Guardiola who is currently re-inventing football in England with his Manchester City team. Enrique will also be keen to test himself in the Premier League and face other top managers who have made England their homes. The likes of Pochettino, Klopp, Mourinho and Guardiola are in the league, and Enrique will not be out of place if he makes the Stamford Bridge dugout his home. The job will be a poisoned chalice as the pressure to succeed is intense, but for a manager who lost only 21 matches in 181 games in charge of Barcelona, he should be ready to take up the challenge. 9 trophies in the last 3 years shouldn’t be sniffed at. Thanks Mark for your take on who may well be the next Chelsea manager should Antonio Conte depart, I look forward to your next article. If you have an opinion you would like to share this season, then we are always welcoming guest writers. 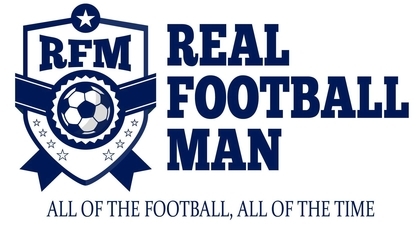 Simply drop me a message at realfootballmanwordpress@gmail.com to get involved.